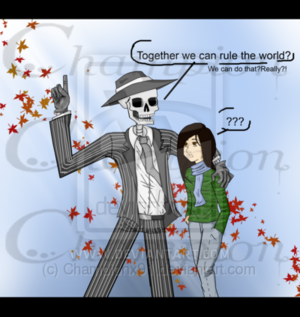 Skulduggery - Rule the World L. . Wallpaper and background images in the Skulduggery Pleasant club tagged: skulduggery - rule the world l skulduggery pleasant valkyrie fanart funny. 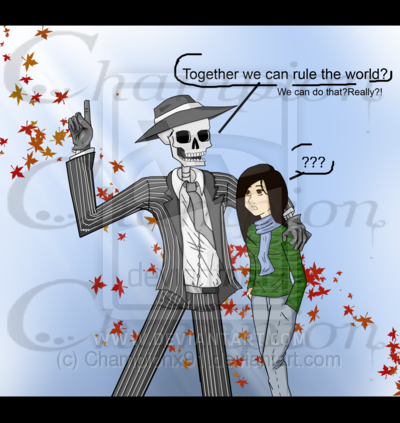 This Skulduggery Pleasant fan art might contain anime, fumetti, manga, and cartoni animati.